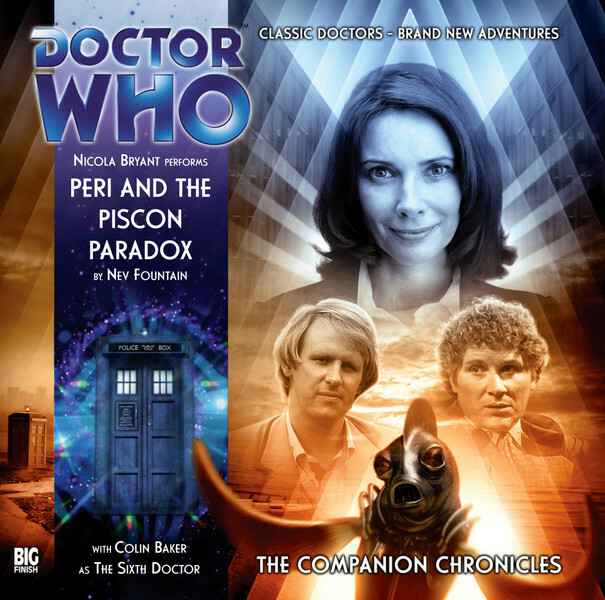 Peri and the Piscon Paradox. Okay, this first one is something of a no-brainer. You simply can’t have a Best of Sixey list without this play on it. It’s a play of two halfs, certainly, but Nicola Bryant pitches both halfs absolutely perfectly. 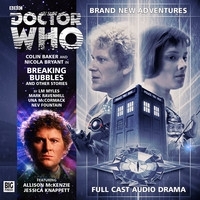 Nev Fountain’s script makes use of several in-jokes, but never in a way that trips up the momentum or pulls the listener out of the story, and the humour and characterisations are wonderful. You can’t not buy this play. The Widow’s Assassin. And if you thought Nev Fountain had shot his bolt with that little masterpiece, think on. 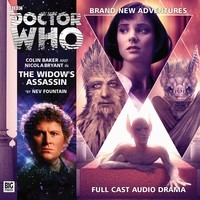 The Widow’s Assassin takes his mind-boggling blend of ideas and feeds them to a full cast this time, in a story that TV would never be able to do justice to. 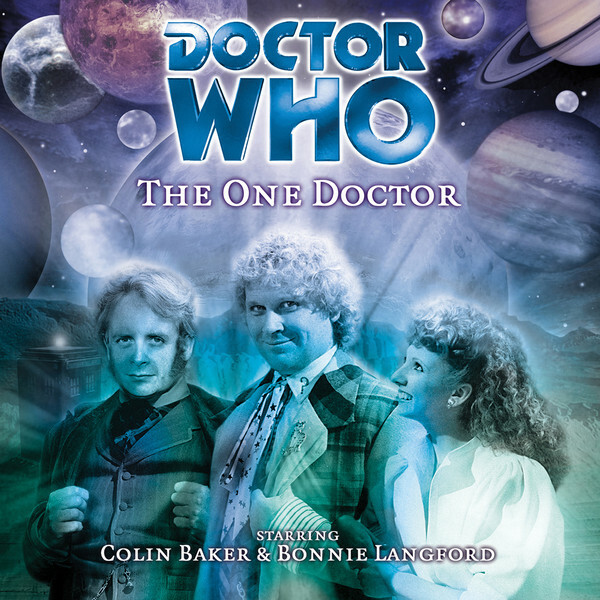 Colin Baker’s acting is stretched to the limit as he belts his way through several different characters. The sheep-shaped constable with amazing gut instincts is a mark of comic genius. That’s not to say that there isn’t a serious side to either of Fountain’s stories, because hell, is there ever – but the fact that the comedy is so wonderfully anarchic and joyful makes the emotional swings, when they do come, even more forceful. …ish. You may get the strong impression that I like clever scripts. Here’s a third in the series, relying heavily on wordplay. The story itself is slighter when compared to either of the above plays, but the speed of the script and the absolute fascination with words that comes across works brilliantly on audio. It may not be for everybody, but as a writer myself this one was always going to appeal to me. Leviathan. It’s a Lost Story, and perhaps the closest Big Finish get to reproducing the style and tone of the TV show while still avoiding the pitfalls and pratfalls of that ill-budgeted era. It’s got a lot more ambition than many of the other Lost Stories. Worth checking this one out at least, if you don’t want to spring for the full range. Jubilee. The only play I’m listing with Maggie Stables (as Evelyn Smythe) aboard the Tardis. You can argue about …Pirates, Lanyon Moor, and the rest as much as you want; Robert Shearman has a wonderful Dalek story here, again making excellent use of the English language to help make his point. There’s tension between the Doctor and his companion, there aren’t any bloody vampires, and you’ll definitely want to hear it again. Voyage to Venus & Voyage to the New World. 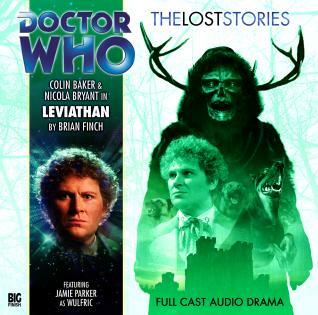 Even if you don’t go for any of the other plays on this list, I recommend going for these two, if only because the team of Colin Baker and Jago & Litefoot (Trevor Baxter & Christopher Benjamin) really do feed off each other, creating a kind of steampunk Doctor Who team in the process. If Edgar Rice Burroughs was writing for Doctor Who, this is almost certainly how he would see it. Not only are they smashing Boy’s Own-style adventures, but you don’t really need to hear anything else around them for them to make sense – they are self-contained marvels. Wirrn Isle & Antidote to Oblivion. Some folk don’t like Lisa Greenwood’s Flip (she didn’t grow on me in her first appearance either) but she’s the sort of companion who takes chances, seizes opportunities, and takes the risk of getting hurt as a result. These two plays are probably her best moments, although Scavenger ranks close behind them, bringing back some old villains, letting rip with epic perils, and also (in Antidote’s case) making a decent point about bought, corrupt governments. Hearing Nabil Shaban’s Sil again is always a bonus. The One Doctor. Where else to finish but with a thoroughly epic, silly, and Biggins-filled romp? If it isn’t up in Nev Fountain’s lofty stratosphere, that hardly matters – Gareth Roberts and Clayton Hickman still hit the ball out of the park. You will laugh out loud with this one, believe me. In just ninety minutes, Ol’ Sixey and Mel Bush are completely and wholeheartedly rehabilitated. There y’go. That’s my ten. 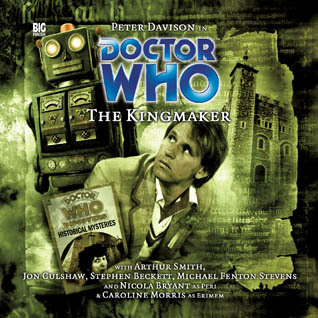 Maybe the only thing lacking is a pure historical (there aren’t enough of those about, as regular readers have doubtless heard me railing before), but Colin Baker’s Doctor never really suited that sort of story. The Marian Conspiracy might come closest to that definition, but… meh. It’s not great in the same way that The Council of Nicaea was great. So if you’ve not got these tales yet, what are you waiting for? Go get ’em, Floyd. Hard on the heels of his adventures with Flip (as played by Lisa Greenwood)¹, The Doctor sets off to scratch an itch that has been bugging him, more or less, ever since the TV story Mindwarp. Just what did happen to Peri? Did she really marry Brian Blessed? Did they live happily ever after? Do their children also shout like a mountain with toothache? Is Gordon alive? Ahem. It’s time to find out. Come with us, on the most ambitious and spectacular adventure ever committed to my ipod. Big Finish Folly, Part 43 – ROYGBIV! Big Finish Folly, Part 16 – Omega!